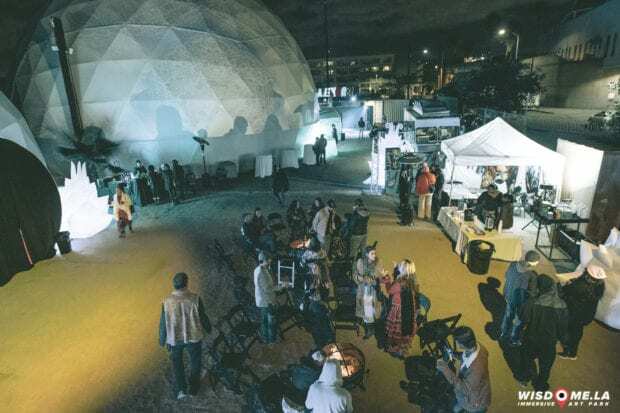 Wisdome LA, the world’s first fully immersive entertainment art park, has opened in the heart of downtown Los Angeles’s Arts District, featuring five 360-degree domes full of digital projections that create a shared virtual reality experience. 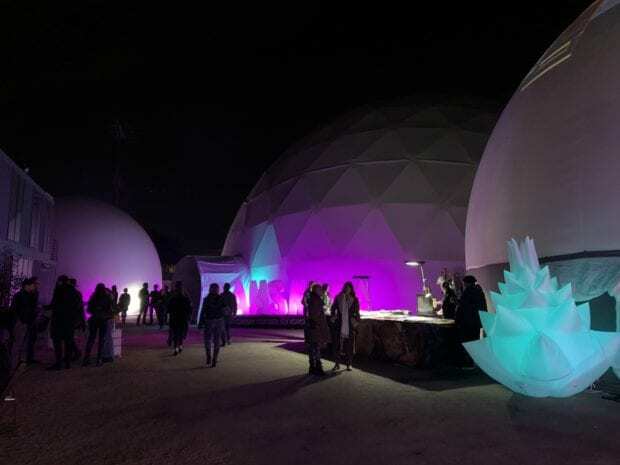 Wisdom Los Angeles lets art lovers explore five 360-degree domes full of audio-visual experiences. The Wisdome Los Angeles space can hold up to 1,000 people both inside and around the domes. Two of the five domes include 360-degree projection mapping technology; the diameter of the largest dome is 90 feet and can fit up to 500 people. 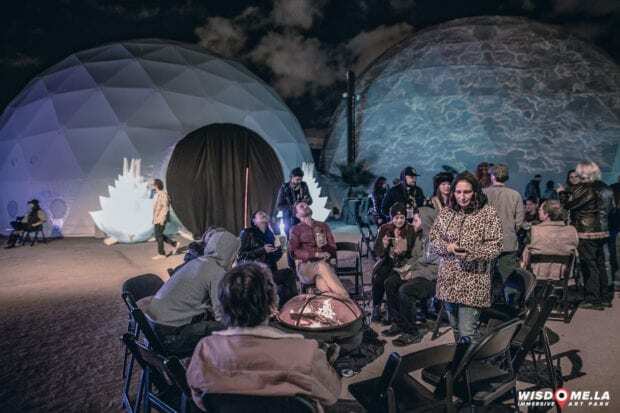 These domes have been showcased at locations around the globe and at events like Burning Man, Coachella, and Lightning In A Bottle. A centerpiece of the art exhibition is the visual journey known as Samskara from digital artist Android Jones. The art park will include over 70 works from Android in 9 different formats, including digital canvases, Microdose VR, dynamic sculptures, shows, live performances and a spherical movie theater. This is the largest showcase of his work to date and will space 30,000 feet of the space. 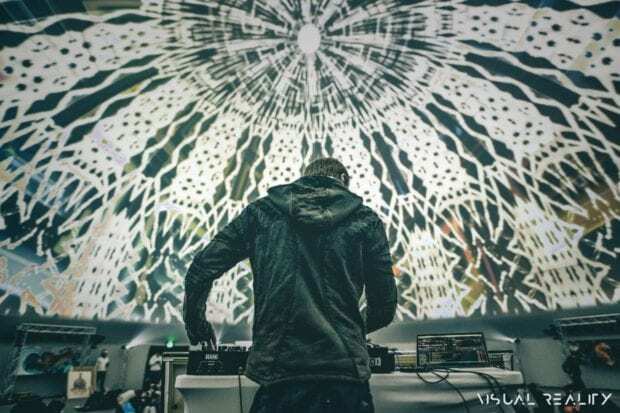 Best described as a digital painter, Jones is well known for his layered psychedelic works and live performances using a custom built digital set up. He participated in the Grateful Dead Fare Thee Well Tour and his work has been projected on the Sydney Opera House and the Empire State Building. 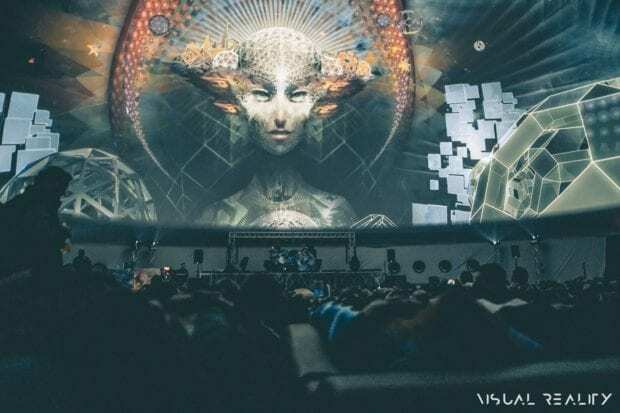 Another key element of the Wisdome experience is Microdose VR, which was co-founded by Android Jones and is a fully customizable platform that combines art, music, and dance into a mind-altering creative VR experience. At Wisdome, guests can experience a Microdose interactive VR game. 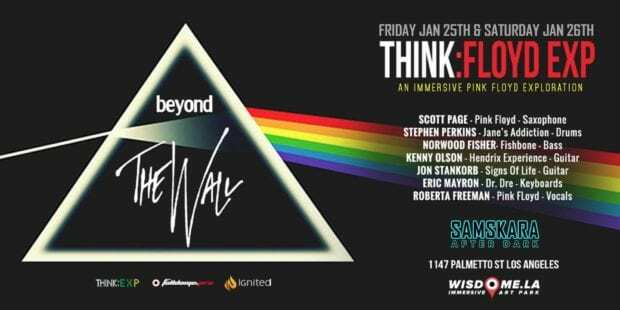 Upcoming event highlights include the return of Pink Floyd saxophonist Scott Page and Think:EXP for another edition of Beyond the Wall from Jan 25-26. The immersive dome experience will explore the music of Pink Floyd and also features members of Jane’s Addiction, Hendrix Experience, Fishbone, and Michael Jackson.